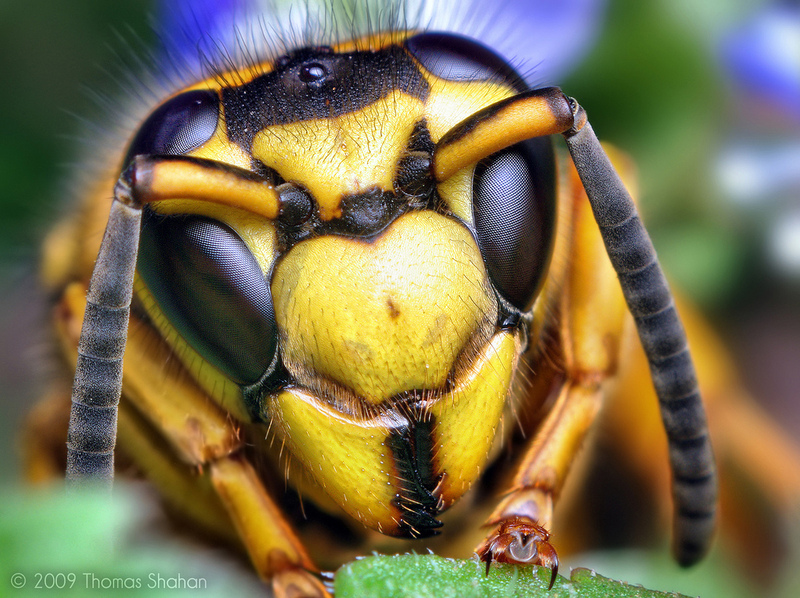 Thomas Shahan is one of the most popular macro insect photographers on Flickr. His 250+ gallery has garnered hundreds of thousands of views and he has brought a level of detail and beauty to these insects that is truly astounding. Hailing from Oklahoma, USA, Thomas uses photography as a tool to raise awareness and educate others about arthropods, which he is so deeply passionate about. Many wonder how Thomas is able to achieve such clarity and detail in his shots. Often it is a ton of patience and trial and error. If he has a still subject, he will also use a technique known as ‘focus stacking’ which allows him to combine several captures (focused on different parts of the insect) into one image so every detail is sharp and crisp (e.g., the eyes, mouth and antennae). For a great summary of Thomas’s photography, there’s a fantastic video interview at the bottom of this post that really delves into his process and thoughts behind his work. As for equipment, Thomas uses a Pentax K200D with either a vintage 28mm or 50mm prime reversed to the end of extension tubes. If he happens upon a highly cooperative subject, he may use his macro bellows for some really high magnification shots. Be sure to check out his entire Flickr stream for more incredible macro photography. All hail the arthropod!